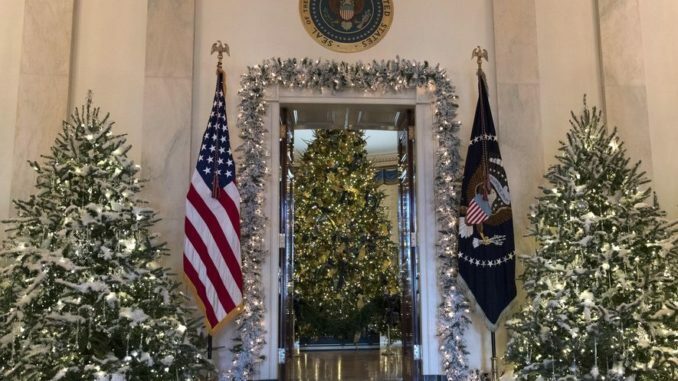 President Donald Trump has reportedly cancelled the annual White House Christmas party for members of the media. The Independent reports: It follows weeks of speculation as to the fate of the reception – usually attended by legions of Washington journalists – after administration officials refused to say it was going ahead. “This year we’re inviting Mueller,” Bill Shine, the White House deputy communications chief, quipped when asked about the party last month – a reference to special counsel Robert Mueller, who is investigating Trump campaign ties to Russia. Last year’s Christmas party saw its own controversy, after a number of black and LGBT reporters were left off the guest list for the first time in years. It also saw CNN boycott the event, “in light of the president’s continued attacks on freedom of the press”. Those attacks have only escalated over the past 12 months, with Mr Trump repeatedly referring to media he does not approve of as “fake news” and the “enemy of the people”. In November, tensions peaked when the White House temporarily revoked CNN journalist Jim Acosta’s press pass.